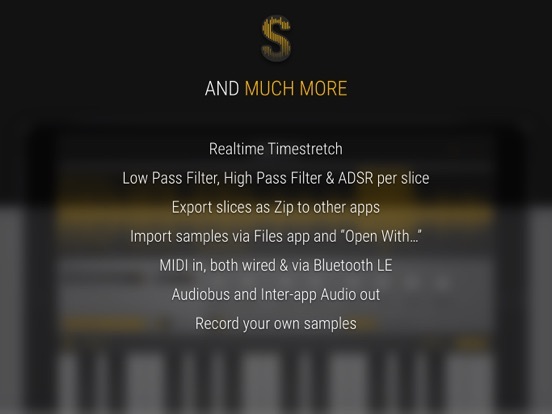 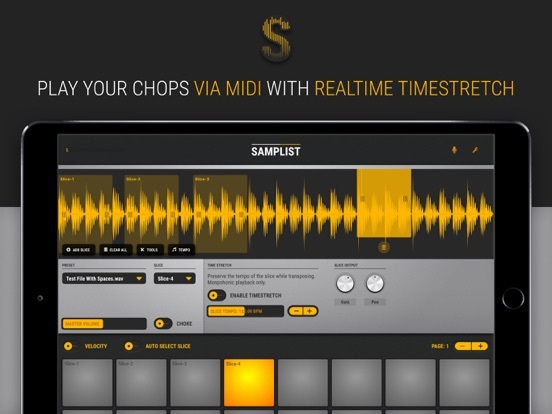 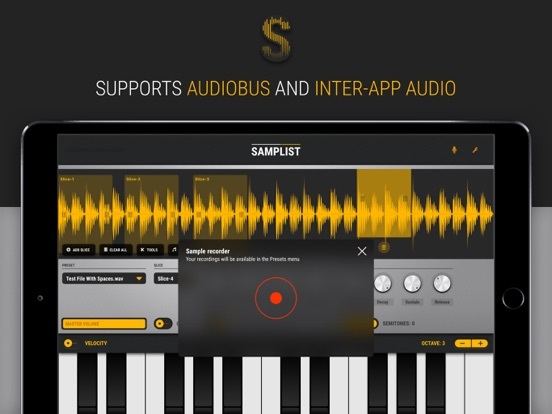 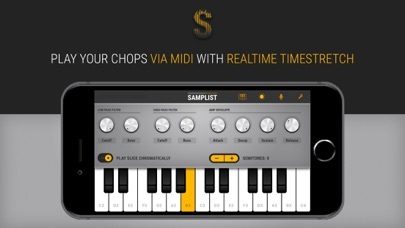 Samplist is a MIDI Sampler Instrument which allows you to easily chop a sample into different slices. 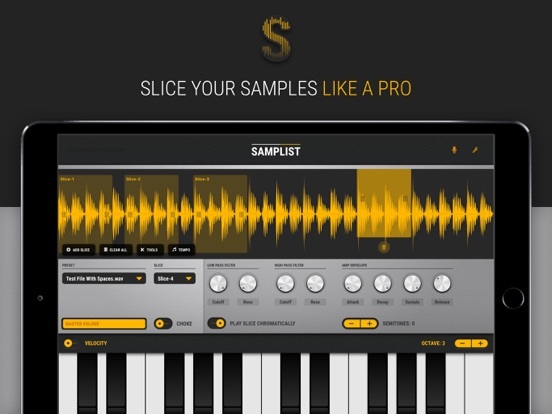 You can then play the slices with the velocity sensitive on screen pads, chromatically with the on screen keyboard or with via MIDI. 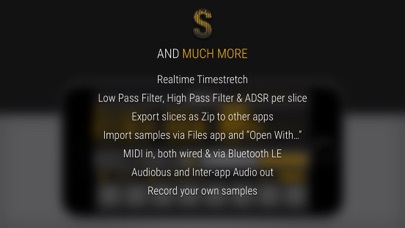 All this with Realtime Timestretch (monophonic only). • Each slice has its own Filter, Envelope & Realtime pitch shifter. 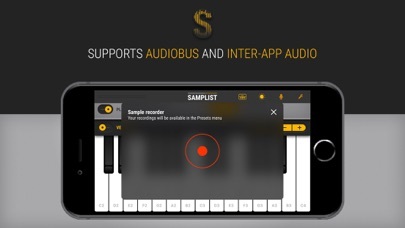 • Record your samples via Microphone.